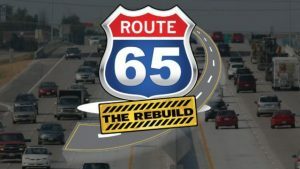 Highway 65 has been under construction for a few weeks now, including several detours for through drivers. You can read more about the MoDOT project here. Parts of the highway were re-opened on Sunday. Southbound 65 between Valley Water Mill Road and I-44, as well as the on-ramp has been re-opened. Other portions of Highway 65 remain closed for construction. This project is not affecting southbound 65 to westbound I-44, which is still open to traffic. For updates on any Missouri Department of Transportation projects, you can visit their project updates page.